For the first time in many years, music lovers will witness “Mr Music Man” Kojo Antwi and lover-man Charles Kwadwo Fosu aka Daddy Lumba performing on the same stage in Ghana at this year’s Vodafone African Legends Night on September 29, 2018, at the plush Kempinski Hotel in Accra. Daddy Lumba, who is making a return to the show, will definitely make the audience call for more of his countless tunes. He is known for his “borga highlife” songs which became very popular among Ghanaians in Europe especially those in Germany. He has been consistent with the release of multiple-hit albums since then and has established himself as one of Ghana's most popular singers of his genre, Highlife. 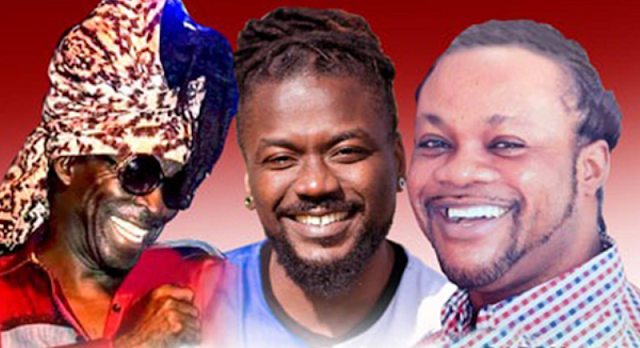 The 7th edition of Vodafone African Legends Night will take place on Saturday, September 29th at the Kempinski Hotel in Accra. The show starts at 7 pm prompt and is expected to attract hundreds of music lovers.